New York City celebrates a century of zoning — and gets ready for the next one. The 1916 Zoning Resolution of New York established limits to building massing so tall structures would not block light and air below. 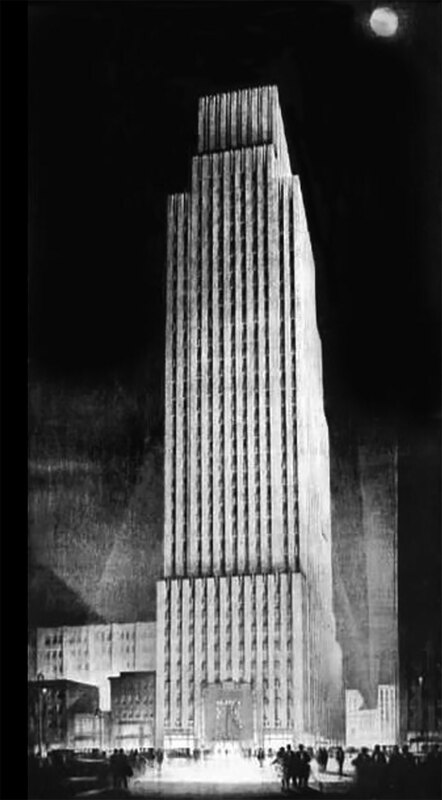 Tiered art deco skyscrapers, like the New York Daily News Building (1929), were a direct result of the resolution. Photo of New York Daily News Building," Dover Publications, Wikimedia (CC-BY-SA 3.0). 2016 marked the hundredth anniversary of New York City's comprehensive zoning law, considered by most academics and urban planners to be the first of its kind. There were, of course, precursors to zoning that go as far back as the first walled city. The wall created a zone determining who was allowed in and who was not, as opposed to determining what is permitted to happen where, as planners generally think of zoning today. But 100 years (well, 101) after New York's original zoning law, the city has for the first time put the emphasis on who rather than what and where. In 2016 Mayor Bill de Blasio succeeded in passing the most comprehensive rezoning since 1961. Called MIH and ZQA, short for Mandatory Inclusionary Housing and Zoning for Quality and Affordability, the new codes for the first time put affordable housing, rather than building height or land use, at the center of new zoning regulations. Where walled cities attempted to keep certain people out, MIH and ZQA seek to keep certain people in — namely, those with low and moderate incomes who are increasingly being priced out. What began several decades ago as a neighborhood-level problem, such as the hypergentrification of the West Village, has now become a citywide housing affordability crisis. Homelessness is at record highs, and rents in most parts of the city exceed what the majority of people can pay. According to StreetEasy, the typical household in New York City is expected to have spent 65.2 percent of its total income on market-rate rent in 2016, six points higher than in 2015. Given the myriad factors that have caused this affordability crisis, the big question is: Can even the most ambitious mandatory inclusionary zoning law in the country have a real impact? At Zoning At 100, a recent conference on New York City's new zoning law, an interesting, if rhetorical, question was thrown out like a piece of red meat to a distinguished panel of New York City developers, policy makers, and academics. Posed by Jerold Kayden — a zoning expert and professor of planning at the Harvard Graduate School of Design, who co-chaired the conference with Planning Commissioner Carl Weisbrod (see the interview with Weisbrod) — asked if, at 3,400 pages, New York's zoning law should be scrapped and replaced in its entirety. The reaction was swift. Academics and advocates politely said yes, it probably should be but it's not practical. The response from developers and policy makers was more akin to, "Good heavens, are you mad?" Gifford Miller, a former city council speaker who is now a developer, said doing that would lead to an infinitely protracted process of horse trading and special-interest shenanigans the likes of which the city hasn't seen since Tammany Hall. But even putting that aside, when it comes to complex issues like land use that have evolved over a long period of time, in the face of large-scale changes, "path dependence" rules the day. The theory says that what we have today is largely determined by conditions that prevailed and decisions that were made in the past. In short, history matters. And the history of New York City zoning, despite its reputation for being the first comprehensive law, has largely been an as-ofright regulatory framework that has been modified incrementally over time and always subject to political pressure. That is still the case under MIH and ZQA. Since the law was passed in March 2016, two high-profile developments — which would have added hundreds of affordable housing units in areas of the city that are rapidly gentrifying — have been scuttled by the neighborhoods' city council members. It is universally understood that in order for the cost-benefit analysis of affordable housing to pencil out, developers need to build larger than current zoning allows. But if neighborhood opposition puts pressure on the city council member, the project can be stopped in its tracks. And that is what has happened in both Sunnyside, Queens, and Inwood, Manhattan, where the council member balked at the proposed height and density of projects that would have included affordable housing. Neither of those communities has undergone a comprehensive rezoning process. This does not bode well for the widespread impact of Mayor de Blasio's affordable housing approach, which is largely dependent upon neighborhoods accepting greater density in exchange for affordable housing. Is this a fatal flaw of Mayor de Blasio's approach? The answer might be found where New Yorkers have been reluctant to look since the days of Robert Moses versus Jane Jacobs: good old-fashioned community planning. Because, as Jerold Kayden pointed out at the conference, "Zoning is not planning." "Zoning controls what happens on private property," said Kayden in a follow-up interview. "Development on private property is not the city. Much more of the city is publicly owned and publicly developed. You have to look at all of these things together. What about streets and schools and fire stations? Too much of planning is simply done through zoning and that's an error." But zoning is part of planning — and there is a great deal of planning going on, wrote Planning Commissioner Weisbrod in an email. "We are doing true comprehensive planning in our neighborhoods to assure that when we increase residential capacity, we Provide the schools, open space, libraries, street improvements, and services that must accommodate growth." 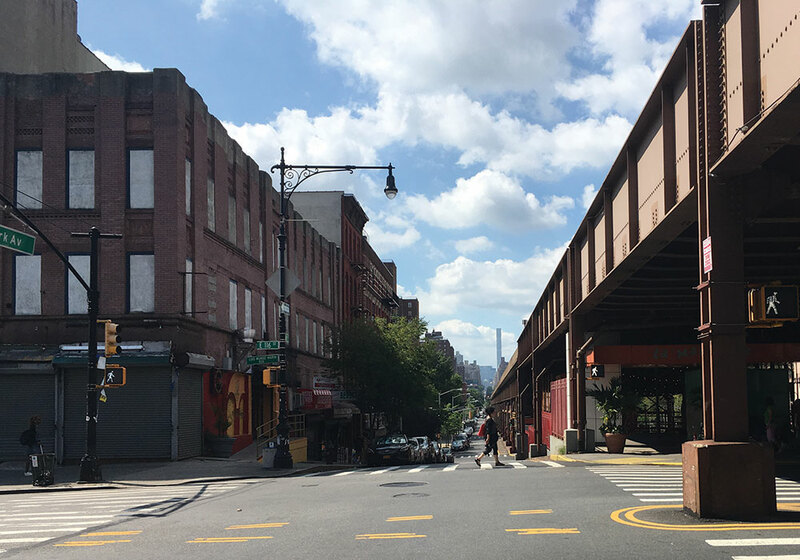 The East Harlem Neighborhood Plan aims to revitalize the blocks surrounding the elevated MetroNorth tracks with transitoriented, high-density mixed uses. Residents can access everything from surveys to reports on a comprehensive website at tinyurl.com/hqul73v. Photo courtesy New York Department of City Planning. While every neighborhood rezoning effort will involve a planning process, the big difference is whether it starts with the city or with the community. The first neighborhood to go through the process was East New York, in a top-down, city-led process that eventually passed but not before a lot of real estate speculation and political hardball took place. In East Harlem, the second neighborhood to be rezoned, the community came together well before the city got involved, and benefited greatly from the imprimatur of its city council representative, Melissa Mark-Viverito. When East Harlem was identified as one of the areas of the city for potential rezoning as part of MIH and ZQA, East Harlem's city city council representative, and the speaker of the council, Mark- Viverito, kicked off a robust year-long neighborhood planning process. The sheer number of stakeholders, funders, advocates, and facilitators is an indicator of just how arduous community planning can be, especially when there isn't an established pathway based on historical precedence. "We designed a process as much as we developed a plan," says Adam Lubinsky, phd, aicp, who is a managing principal at WXY architecture + urban design, which was responsible for facilitating the steering committee and developing the plan. "The idea was to get ahead of the city's rezoning and allow people to look at all the components that make up a neighborhood and issue recommendations based on their own priorities." And a funny thing happened on the way to finalizing recommendations in the East Harlem Neighborhood Plan, released in February 2016. The community embraced more density — buildings that could reach 30 to 35 stories — which is exactly what is being rejected by other neighborhoods even when proposed projects are 100 percent affordable housing. Why? Because organized groups of East Harlem citizens, with the explicit support of their city council representative, looked broadly at issues ranging from open space, recreation, and culture to the environment, transportation, and jobs, not just the height and bulk of multifamily housing. For example, current zoning in East Harlem allows for as-of-right development with no affordable housing. It is estimated that 4,230 units of affordable housing could be lost there over the next 15 years. To address this, the plan embraces rezoning with the following recommendation: Preserve the existing character of mid-blocks and concentrate upzoned areas to the wider avenues. This was just one of the many sensible recommendations that emerged from the community planning process. As of this writing, the city is in the process of finalizing the East Harlem recommendations into its comprehensive rezoning plan. The details are not yet known, but East Harlem represents the single most comprehensive community planning process in New York in a very long time. This has been recognized by APA's New York Metro Chapter, which recently presented to the participants of the East Harlem Neighborhood Plan the 2016 Meritorious Service & Achievement Award. And indeed, the lack of rancor in East Harlem has been noteworthy. As Politico reported, when the city kicked off its East Harlem rezoning effort in October (which will codify the recommendation of the East Harlem Neighborhood Plan), the public hearing "was devoid of the typical backlash that has accompanied other massive rezonings." "I give this administration credit; they have respect for planning," says zoning consultant George Janes, aicp, who worked on the East Harlem Plan, referring to Mayor de Blasio and Planning Commissioner Weisbrod. "Bringing in the community is not efficient," Janes says, "but if you want to include the community, you have to accept some inefficiency. When you're making big decisions, it should be deliberative." "While the focus has been on housing, much of the dialogue hasn't taken note of the fact that this was a heavy lift to advance urban design, one that has not been done this comprehensively for decades," says Rachaele Raynoff, the long-time press secretary for the Department of City Planning. Zoning for Quality and Affordability: New York's ZQA, adopted in 2016, addresses previous zoning regulations that discourage affordability and quality buildings today. This example shows how ZQA would enhance the visual interest and attractiveness of a general residence district. Renderings and source material: New York Department of City Planning. Indeed, the most immediate changes to the zoning codes have to do with fixing outdated regulations that have led to a host of urban design problems. For example, ground-floor retail in affordable housing has been notoriously problematic. The spaces are too small and are not flexible enough to remain viable over time. ZQA adds just a few feet of additional height to the overall building in exchange for a well-designed street front, higher ceilings, and other elements. ZQA also gives architects and developers the needed flexibility to design the building envelope for outer courts, bay windows, and other architectural features that were difficult, if not impossible, before. Old zoning codes also treated every site as if it were a perfect rectangle, which almost none are. "We've heard over and over that people aren't liking the new buildings they are seeing in their neighborhoods," says Frank Ruchala, AICP, deputy director for zoning. "Sometimes that's just design preference but in many cases it was the zoning. So we did a spring cleaning of sorts, clearing out 30-year-old codes to better reflect our goals for how buildings should interact with neighborhoods," he adds. The spring-cleaning recommendations that made it into ZQA resulted from many experiments with pilot projects and special districts. But before ZQA was even codified, the city began experimenting again with a new approach to mixed use zoning along the waterfront in Long Island City. The city's Economic Development Corporation issued an RFP in February 2016 that will benefit from a rezoning and a new set of design guidelines that encourages a much greater mix of uses. To complement a nearby Industrial Business Zone, the growing tech sector, and many new residential buildings along the Queens waterfront, the design guidelines encourage mixing all of these uses in much closer proximity, bolstered by robust public spaces and 1,000 new housing units — with a sizeable percentage required to be affordable. Developers are encouraged to be inventive with ground-floor retail, complemented by light manufacturing or tech-friendly spaces on second and third floors, while a tower of housing can be stacked above, wedding-cake style, made famous by New York's 1916 zoning. Nine of the city's most active developers responded to the RFP, a strong indicator that no matter how many pages the current zoning code is, more can always be added and developers are still going to build in New York City. "There is frequently opposition to new development of any sort, even affordable housing," says Kayden. "So this approach, to the extent it relies on new development, it will encounter stresses. But that will get battled out. Last time I checked cities are still developing." Lisa Chamberlain reported on real estate for the New York Times prior to becoming a communications consultant for architects, planners, and developers engaged in city building. On March 22, 2016, the New York City Council approved a modified version of Mayor Bill de Blasio's proposed zoning code changes, known as MIH and ZQA. The complicated zoning text changes — the most comprehensive since 1961 — make a number of changes. MIH: Mandatory Inclusionary Housing provides that when permitted residential density is increased as part of a landuse action in medium- and high-density districts, a portion of the housing to be built will be permanently affordable to low- and moderate-income households. It is being applied in neighborhoods where the city seeks to promote affordable housing, such as East New York, as well as in conjunction with individual land-use applications throughout the city. Individual applications currently in the pipeline, for instance, account for an estimated 1,800 new MIH units since the zoning text was approved. The set-aside varies from 20 to 30 percent of the housing to be provided, and a variety of options for affordability of income bands is available. 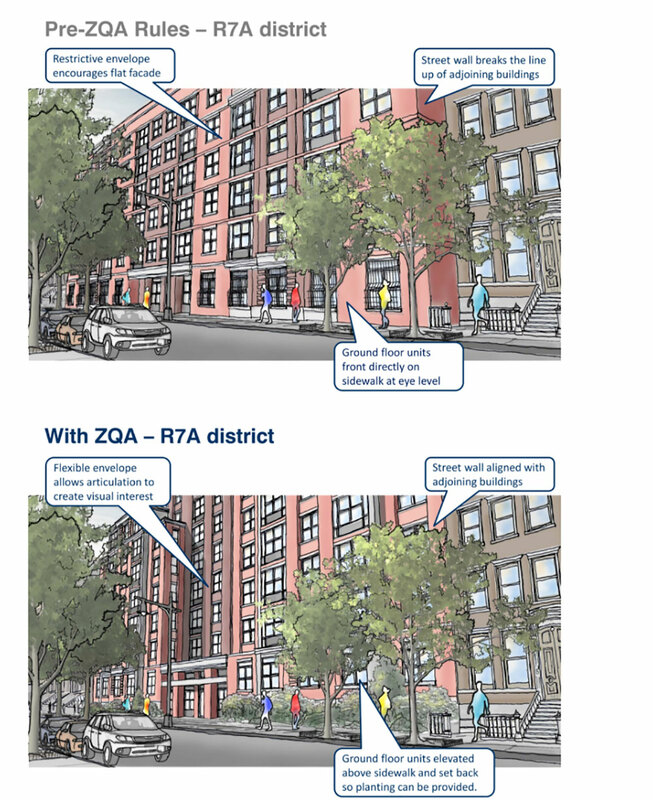 ZQA: Zoning for Quality and Affordability is a major update to the NYC Zoning Resolution. It is designed to make zoning work better with financial and other programs to create more affordable housing for a wider range of New Yorkers and to encourage better buildings that contribute to attractive and livable neighborhoods. ZQA makes it easier to provide affordable senior housing and care facilities, supports the creation of inclusionary housing, and frees up resources to create more affordable housing by enabling cost-effective, transit-accessible affordable housing. For example, ZQA relaxes the outdated parking requirement outside of Manhattan, which increases the cost of building affordable housing. ZQA also encourages quality buildings with better ground-floor retail and residential spaces and apartments with adequate ceiling heights, as well as enabling features common in traditional apartment buildings in urban NYC neighborhoods.